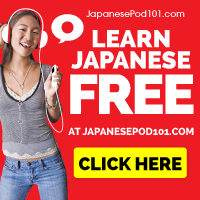 If you want to transfer money home from Japan, especially if you have student loans to pay every month, saving on the transfer can be a BIG deal. For expats in Japan, sending money home can be a confusing mess, and banks take advantage of foreigners lack of knowledge of the systems in Japan to take more than their fair share in fees and under-market exchange rates whenever you send money back home. It can also be a nightmare to set up a bank transfer to your foreign accounts. I remember filling out ridiculously long forms at JP Bank that reminded me why they are the worst bank for foreigners. Even my current bank, Mitsubishi UFJ, takes a pretty hefty cut of any transfer I send back home and was a pain to set up even if you do speak Japanese. I have to send back quite a bit of money every month to pay my student loans. I used to lose quite a bit on the transfer not only when I sent the money, but also from the beneficiary bank at the end of the transfer. I stupidly listened to some people from my first company for years, sending money home with JP Bank at ¥2,500 a pop, and with additional transfer costs on the other end! This was by far the stupidest money transfer mistake I made. Paypal charges a percentage based fee, so the more money I sent home, the bigger the fee was, and all before the artificially high exchange rate was applied. PayPal is great for sending money to people and having a handler in the middle to prevent fraud, but when you are sending money to yourself this is a wasted step that costs you money. 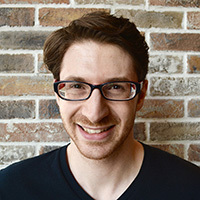 Earlier this year I discovered TransferWise, an app that is redefining international money transfers, cutting out the middlemen and saving me a lot of money on every transfer I make. I’ve been using it for a few months and I must say I am a very happy customer! 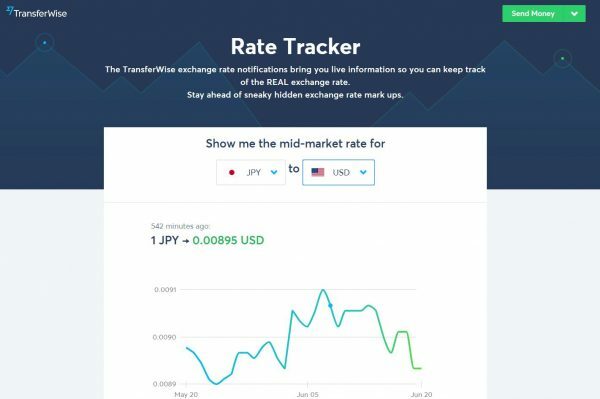 Click the link here to start with TransferWise (rates change so this picture won’t be accurate, check now to see up to date exchange rates)! TransferWise is a company started by Taavet Hinrikus and Kristo Käärmann, who were friends working in different countries, but with obligations back home. Taavet had worked for Skype in Estonia, so was paid in euros, but lived in London. Kristo worked in London, but had a mortgage in euros back in Estonia. So they deposited money into each others accounts so they wouldn’t have to pay the ridiculous international banking fees. You see, when a bank says that there is 0% commission, they are hiding the fact that they put their margin on top of the market rates. If sending ¥100 would usually get you £0.71p in the UK, they kick up their rates so you’d only be getting £0.68p. That might not seem like all that much, but that’s almost 5% on the transfer. Send home ¥100,000 and you’re not only paying the banks fees (starting at around ¥2000), but you’re dropping an extra ¥4,300 in money lost from deliberately misrepresented market rates! Not only that, but when your bank receives the money you may be hit with a bank “handling fee”. Yeah, like it is so difficult to receive money and put it in the bank. It’s all automated, but the bank would have you believe that they have some work to do to receive that money. Nope! They just want their piece of the pie, leaving you with less pie. So they started TransferWise to upset the banks and help people like you save money when they send money overseas. How does TransferWise offer so much better rates? They use peer to peer transfers, and use their banks in multiple countries and currencies to deposit money without ever needing to cross international borders. They tell you exactly how much their fee is up front, and don’t hide the market rates from you, or artificially inflate them. Because the transfer is not international, your bank doesn’t charge an international handling fee at the other end, so the price you see is the price you pay. Their rate scales fairly, and sending home ¥300k costs three times as much as sending home ¥100k, so I can send home more money at a time and save myself the hassle of doing this on a monthly basis. This can be especially useful when you use TransferWise’s rate notifications. Rate notifications are big money savers for Japan expats with obligations at home. I have a notification set up on TransferWise to send me an email whenever the rate for JPY to GBP goes above a certain threshold. I choose the rate (right now I set it to 0.0073 from JPY to GBP) and when it gets there it will send me an email telling me that it’s a good time to send the money. Instead of needing to do the transfer every month at whatever the rate is just to pay my student loans, I can send a big lump in one go when the rate gets me a great amount of pounds for my yen! Set up the Rate Tracker to let you know when it is a good time to change your money over! It’s a way to save on just about every stage of the international bank transfer process. You can save on the fees, on the exchange rate and on the handling fee from the bank at the end. First, click this link to go to TransferWise. Try it out, see how you like it, and based on the last time you sent money home, figure out exactly how much you saved. Their steps are incredibly easy to follow, and while the first step will take a little while to set up, it is totally worth the time to get it done as you’ll be saving money on every international transfer you make. You have to supply some information and send along a picture of your passport to verify your identity. This is necessary as they are regulated by the Japanese FSA, so they need to provide ID’s to prevent fraud. Some people might be uncomfortable with this, and I completely understand your feeling. With all the data out there on the internet (big data is the new currency of the “free” tech business), it’s worrying to give any online entity your details. However, they have always been very up-front about their security and the terms of their service, and since the banks all ask for this information as well (and actually ask for a lot more and give a lot less value), I don’t have any reservations in signing up to save as much as they are offering. 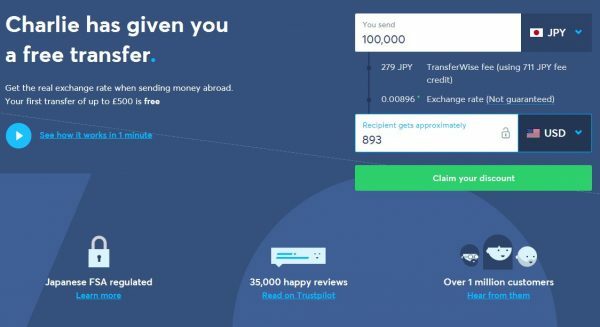 This one is HUGE for me and if you are a business owner, a startup or a freelancer in Japan, a borderless account looks like an incredible way to save when managing your money online from any number of countries, including Japan. 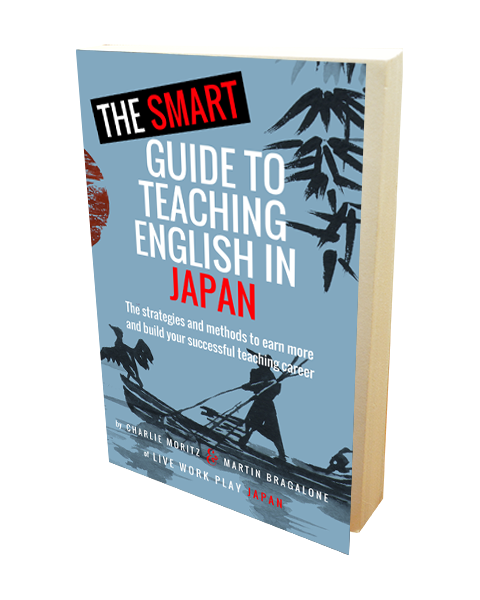 As the owner of Live Work Play Japan as well as my own web design company, I am frequently moving money from my UK accounts, where some of my overseas clients pay me, into Japanese yen and back again. Saving money on this regular transfer of money is incredibly useful for me to keep a handle on the cashflow of my business. The money is safe and secured by Barclay’s Bank, one of the oldest banks in the world. The only way you lose your money is if Barclay’s becomes insolvent… yeah, if that happens probably everyone is losing their money. I also love the idea of online banking. Brick and mortar banks are always looking to pinch pennies whenever they can with added fees that you never heard about or rate changes that impact your bottom line. Online banks have the benefit of low costs, and can operate more efficiently. Not only that, but I can have my money at my fingertips without having to go through all the nonsense that out of touch banks put us though. You know how much you’re paying when you send money with your bank. It’s a number that burned into your mind when you saw how much of your money disappears when you send money home from Japan. Sign up through the link here and just see exactly how much you’ll save. If it’s not at least a few thousand yen, I’ll eat my hat! I even sent home ¥100,000 and all I paid was ¥990 transfer fee, and it traded over at mid-market rates. BIG win for me! Do you send a lot of money home? How much do you usually send, and how much do the banks take from you? Let us know in the comments below, especially if you’ve had experience with TransferWise before.